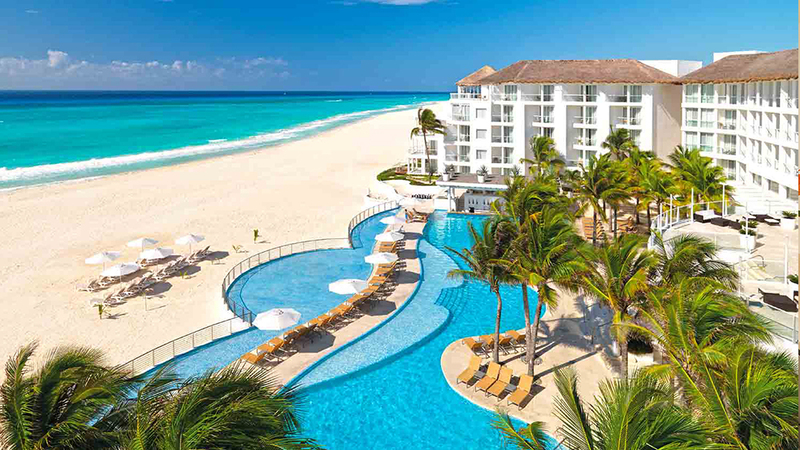 A beautiful and relaxing family vacation awaits you at Palace Resorts’ Playacar Palace. 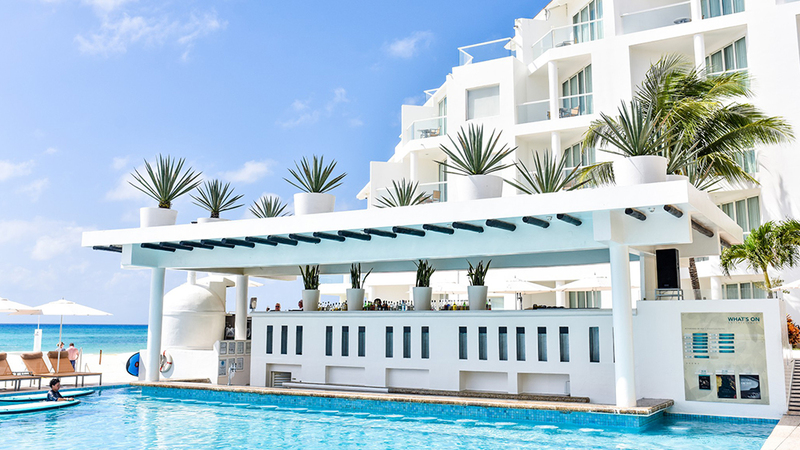 There are so many things to experience while you are here, as the locals say don’t visit Mexico…live it and no other resort out there comes close to that phrase like the Playacar Palace. 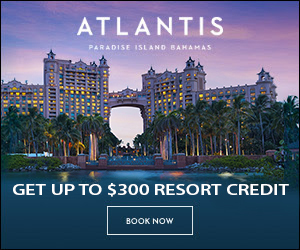 When you arrive the natural beauty of the area will bring awe to your face, the sparkling crystal ocean, the signature white sandy beaches, and the palm trees softly dancing in the ocean breeze are all a wonderful and welcoming sight as you arrive at your travel destination. There is much more to see than just the natural beauty of the area, while visiting be sure to book your appointment at the spa where you will be sure to enjoy a quality and rejuvenating spa treatment of your choice, including the option for hydrotherapy treatments. While you are enjoying the spa at Playacar Palace, let the children explore and have fun in the only room made just for them, the Playroom! 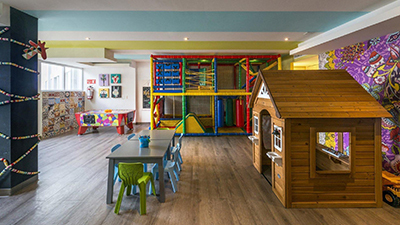 Your kids can let loose and unwind under the supervision of the staff, and each night the playroom offers the children themed activities made for all ages. 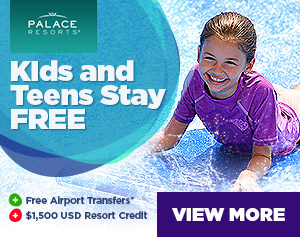 Playacar Palace really is a family friendly resort with so many fun and exciting opportunities for kids. The question for you is why haven’t you booked your vacation yet? Come down for relaxation, have fun while here and go home rejuvenated and feeling like a whole new person at Playacar Palace. 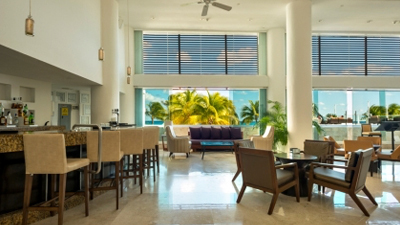 Relax on your private balcony while enjoying the breeze coming off the Caribbean waters. 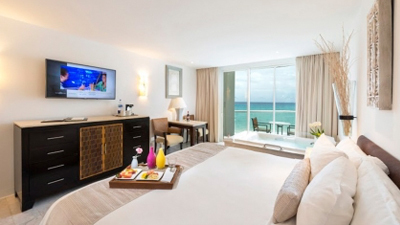 The Deluxe Resort View suite offers everything you need to feel at home including a welcome bottle of wine to toast your arrival in paradise, full mini-bar, Smart TV with YouTube, vTuner and Weather Channel. Plus, plush bathrobes for you to relax in! 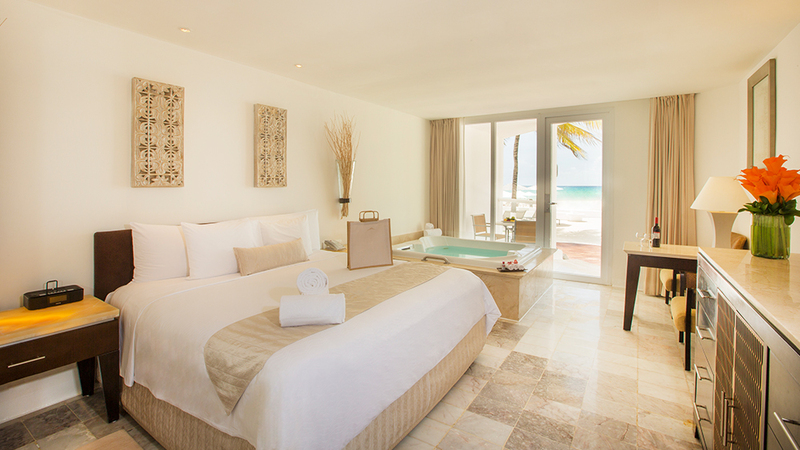 Wake up to a gorgeous morning in Riviera Maya. 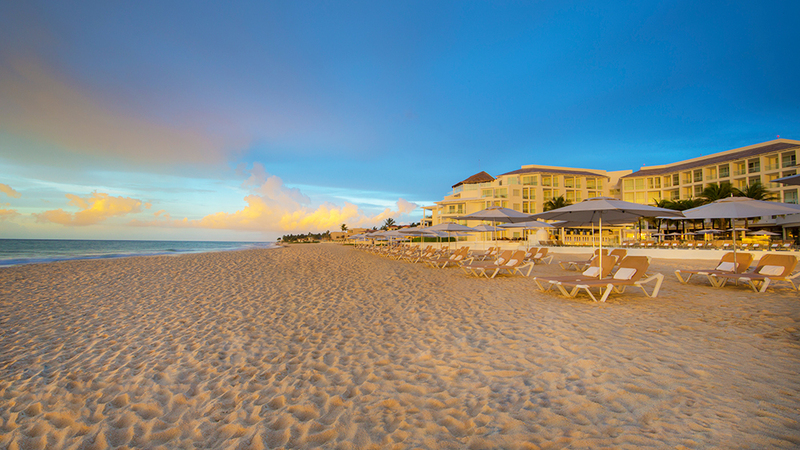 Take in your view of the Caribbean and get ready for a fun-filled day. This guestroom has Smart TV with YouTube, vTuner and the Weather Channel. After a day of spa treatments and relaxation, sink into your plush bed and sleep to the sound of the ocean right outside your window. This guestroom has Smart TV with YouTube, vTuner and the Weather Channel. 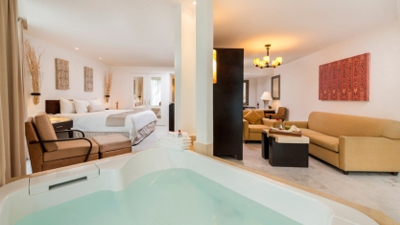 Start your life together in comfort and luxury in the spacious Honeymoon Suite. 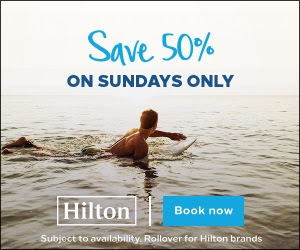 You and your sweetheart can look forward to an amazing time with ocean front views, top shelf drinks, Apple TV with WiFi connection and special apps including, iTunes, Netflix with an in-room double whirlpool! Take your experience to the next level with the Concierge Level suites. In addition to standard amenities, guests staying in these rooms can also enjoy amenity upgrades. Start working on your tan as early or as late as you want from your oceanfront suite with direct access to the beach solarium. Enjoy the warm Caribbean breeze from the ocean front bench outside your suite. 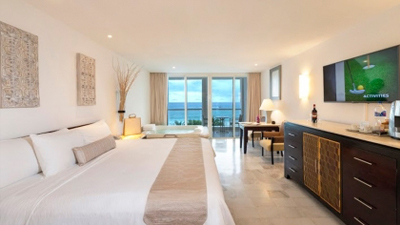 In addition to standard amenities, guests staying in these rooms can enjoy upgraded amenities. 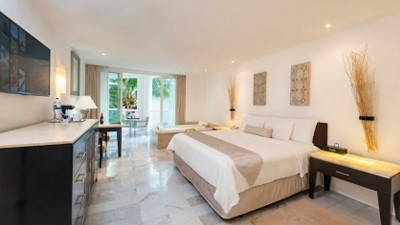 Live the Palace Life in Playacar Palace’s Governor Suite. 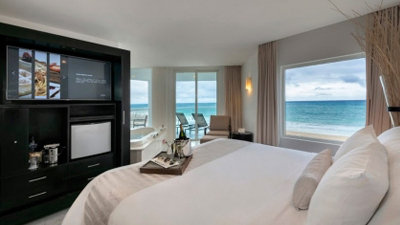 Experience everything a luxury vacation should be with ocean views, private balcony, spacious living room, Smart TV with YouTube, vTuner and the Weather Channel. Whether you’re seeking a solo beauty session or couples massage’, the expert spa specialists will take you on a relaxing journey. 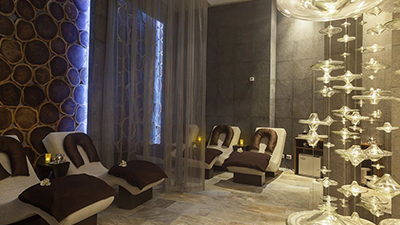 It includes 6 treatment rooms, 2 couples’ massage rooms, 1 master suite with hydro tubs and 3 multi-functional treatment rooms. Hydrotherapy is also included with 2 sections for men and women with hot and cold plunge pools, herbal steam room, sauna and co-ed pool with water jets. Kids ages 4 to 12 can come make new friends at the Playroom! Supervised by a professional staff, you can rest easy that the little ones are having a great time. Have an adventure! Use your resort credit and tour Chichen Itza or swim with dolphins at the Ultimate Dolphin Swim Experience. 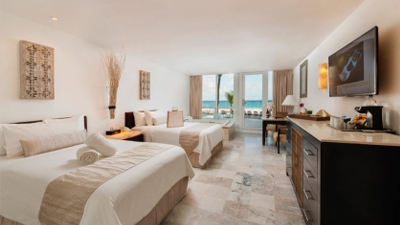 At Playacar Palace, there’s no telling where the day will lead. 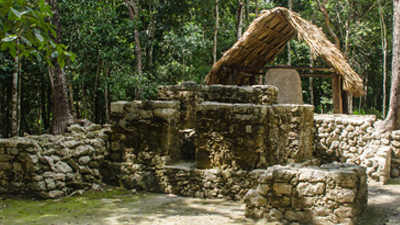 Find a wide variety of things to do on your vacation. 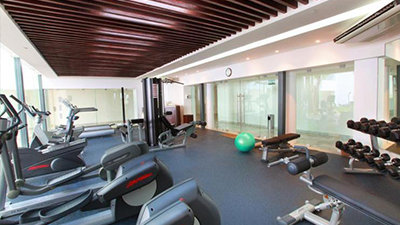 Amenities include, tennis courts, fitness center, beach volleyball and epic bicycle tours. 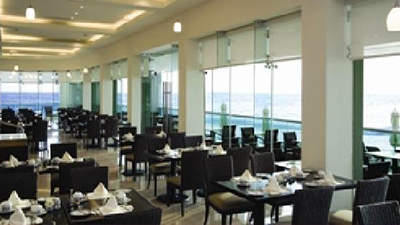 Located in the central lobby, Café del Mar is a casual restaurant serving an international breakfast and lunch buffet and an a la carte international/Mexican menu for dinner. The dress code is casual but wet clothing and uncovered swimwear is not allowed. 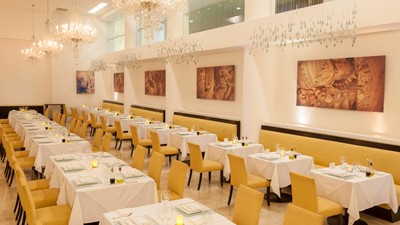 Located in the central lobby, Terrazza is a casually elegant choice for dinner, serving an a la carte Italian menu. Long pants, collared shirts and shoes are required. 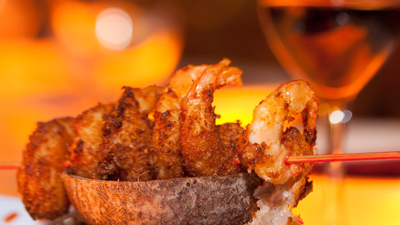 For lovers of Asian cuisine, Mo-Mo-No-Ha-Na serves dinner in a central lobby location. The dress code is casual elegance, so long pants, collared shirts and shoes are required. 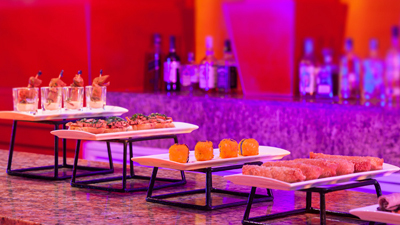 Cielo is the lobby bar, open from 10:00 am – 1:00 am. Luna Lounge serves cocktails and Thai hors d’oeuvres from 6:00 pm – 1:00 am. Enjoy the Aqua pool and snack bar from 10:00 am – 6:00 pm. 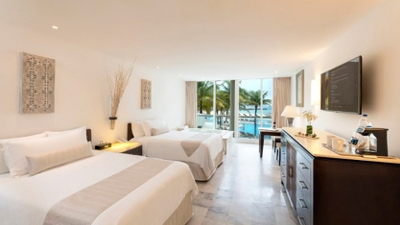 Ideally located right on the glistening white sand beach of the Caribbean Sea, the luxurious Playacar Palace is an all-inclusive Playa del Carmen resort that’s equally well suited for a relaxed family vacation, a picture-perfect wedding or romantic honeymoon. 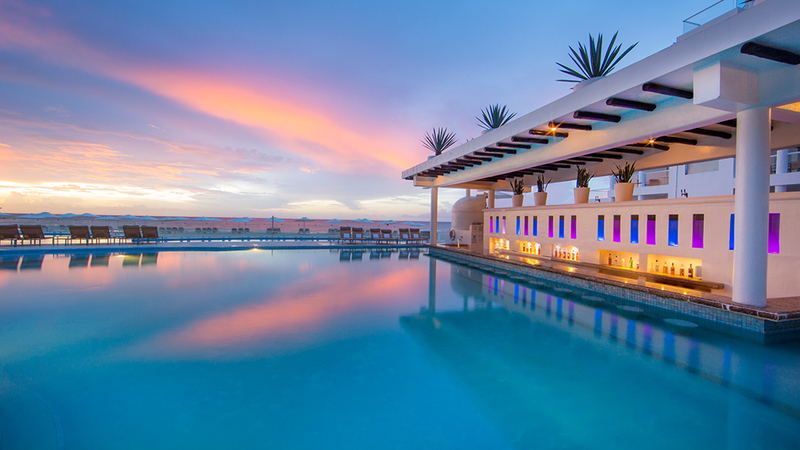 Experience a soothing retreat at the state-of-the-art spa, take a refreshing swim in the sparkling pool or enjoy a large smooth beach that seems designed by nature for wading. 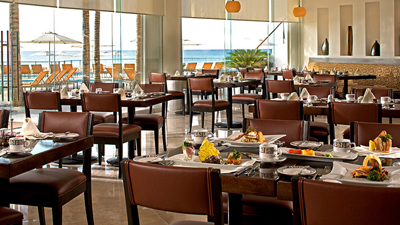 All waiting for you at Playacar Palace.